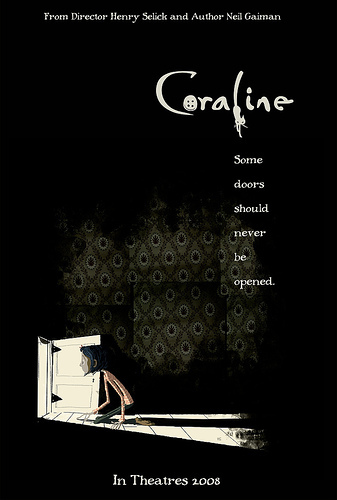 the first official one sheet for coraline was released on neil gaiman's website today. the artwork is based on the illustrated poster that was given away at san diego comic con back in 2007. this time with puppets! it is exciting to see promotional machine starting to kick into gear. focus features recently launched their website to promote the film. a quick look around tells you there's going to be a lot more content eventually, but is kind of empty at the moment. still, there is enough to explore to make it worth a visit now. 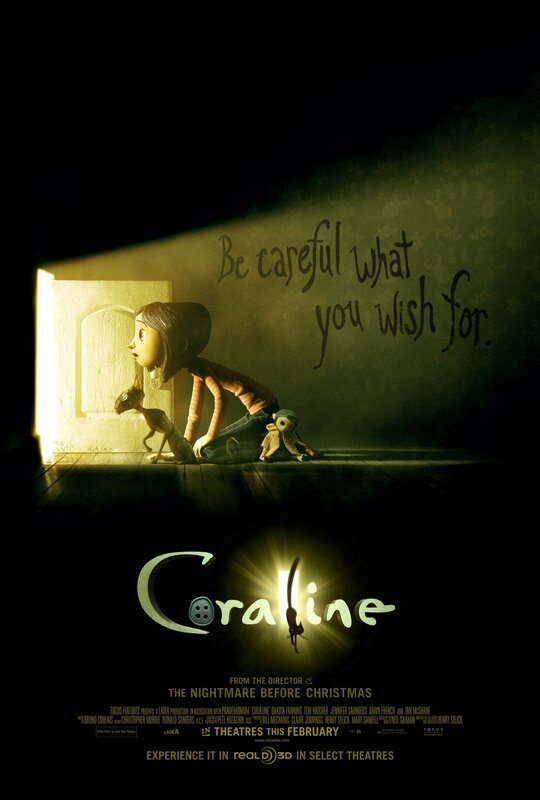 meanwhile, at the official coraline website things are a lot... darker. i look forward to seeing how all of this develops. Can't wait to see it, Jeremy! I know all you guys worked so hard on the film. Now we should get together and finally hang out, ya know? we should definitely hang out. i'll be in the UK until the 24th, but i'll give you a shout when i get back.